194 pages | 21 B/W Illus. 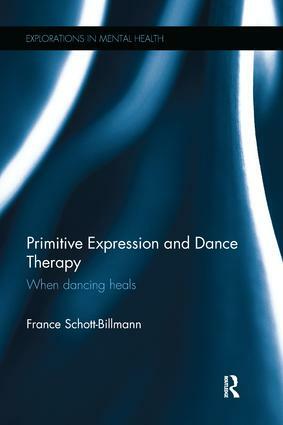 This book provides a rigorous and comprehensive account of primitive expression in dance therapy, focusing on the use of rhythm and exploring the therapeutic potential inherent in the diverse traditions of popular dance, from tribal shamanic dance to styles such as rock, rap and hip-hop strongly present in our contemporary society. • New fields in the application of dance therapy. Clinical examples are provided throughout the book to comprehensively demonstrate how dance rhythm therapy can contribute to the use of the arts therapies. It offers a fresh perspective for researchers, psychotherapists and clinicians who want to use dance therapy techniques, as well as arts therapists and those who want to learn more about artistic and cultural dance. France Schott-Billmann, PhD, is a Psychoanalyst, Dance Therapist and Dance Researcher. She was Program Leader within the Performing Arts section of the Arts Therapy Program at University Paris 5 Descartes in Paris for 20 years until 2011, where she now teaches dance therapy to masters students. She worked with adolescent psychotic patients in the CEREP psychiatric hospital in Paris for 15 years. At present she works at Bellan Hospital in Paris with patients suffering from Parkinson’s disease. She teaches in various training programs in Europe and leads workshops all around the globe.